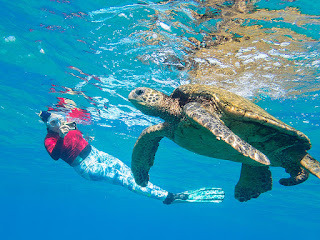 This morning's ocean swim was an experience of Turtles, Turtles, and more Turtles - oh, and some Mermaids too. It also didn't hurt that the water was super-clear. It isn't often that we get such an extraordinary degree of visibility. 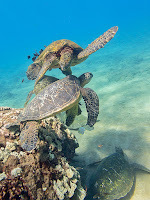 Click HERE for several more photos of Turtles, Mermaids, and other Critters.